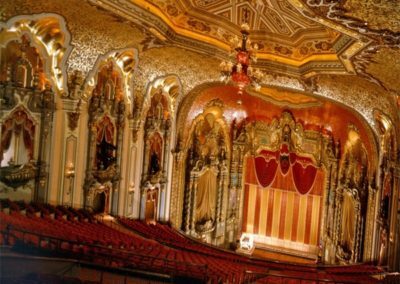 Thomas W. Lamb, designed the Ohio Theatre in Columbus as “a palace for the average man,” opening in 1928 as a Loew’s movie house that was a 2,779-seat Spanish-Baroque masterpiece. 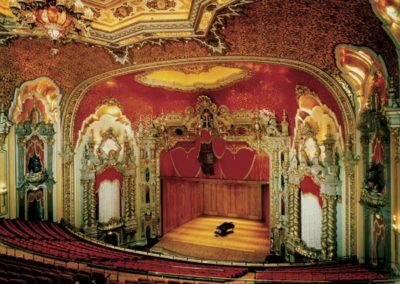 In addition to the movies, live stage shows touring on the Loews circuit found a home on the Ohio stage. 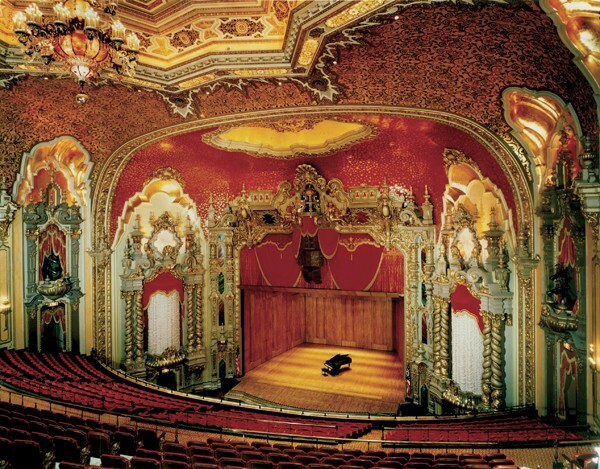 The theatre thrived as a movie house until the suburban sprawl of the 1960s drew traffic out of downtown and headed the theatre for demolition. 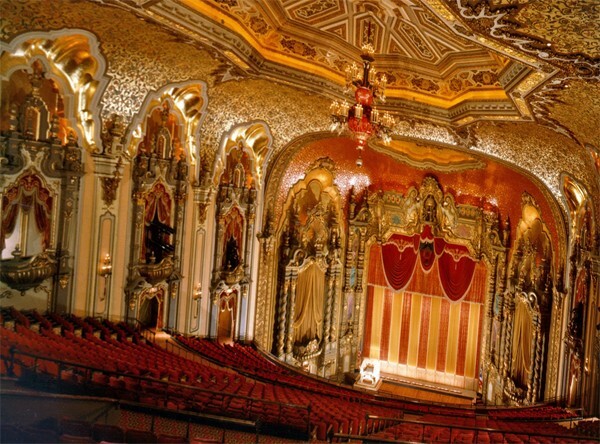 The restoration of the majestic Ohio Theatre came about after the community of Columbus rallied to save it from demolition. Conrad Schmitt Studios work included replicating all of the original finishes. 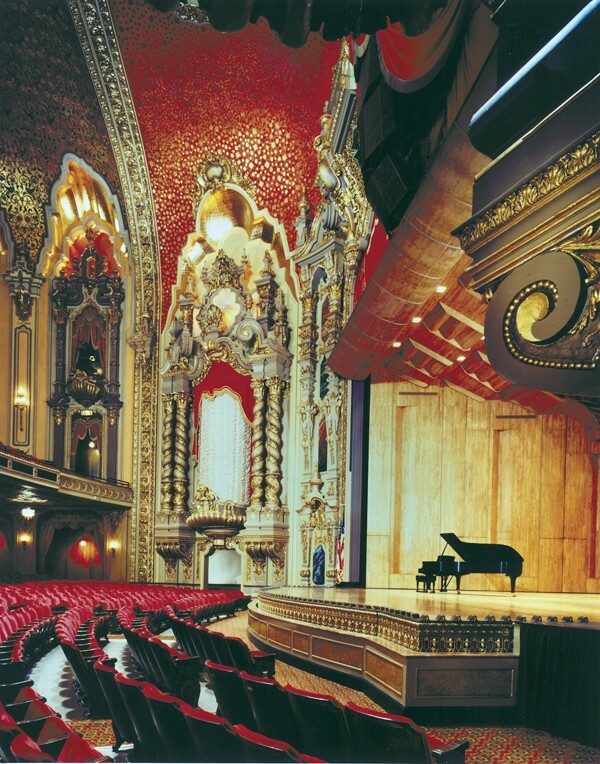 Thousands of ceiling stars on a multi-glazed ceiling were regilded with gold and aluminum leaf. 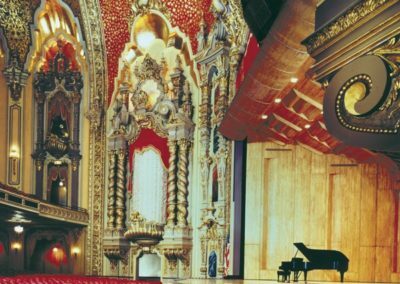 The arduous time schedule was met without compromising quality or longevity of the project to complete the restoration in time for “The Phantom of the Opera” opening performance.